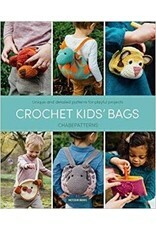 IPG Crochet Kid's Bags - Crochet Stores Inc.
A cute dino backpack to guard your lunch, soft pajama keepers to stash your PJ’s away for the night, a two-sided pencil case to store your multi-colored pens, a soft bag to put your favorite toys away for the next day … A child’s life is filled to the brim with different activities and outings, and what better way to keep it all organized than with cute and soft amigurumi bags? 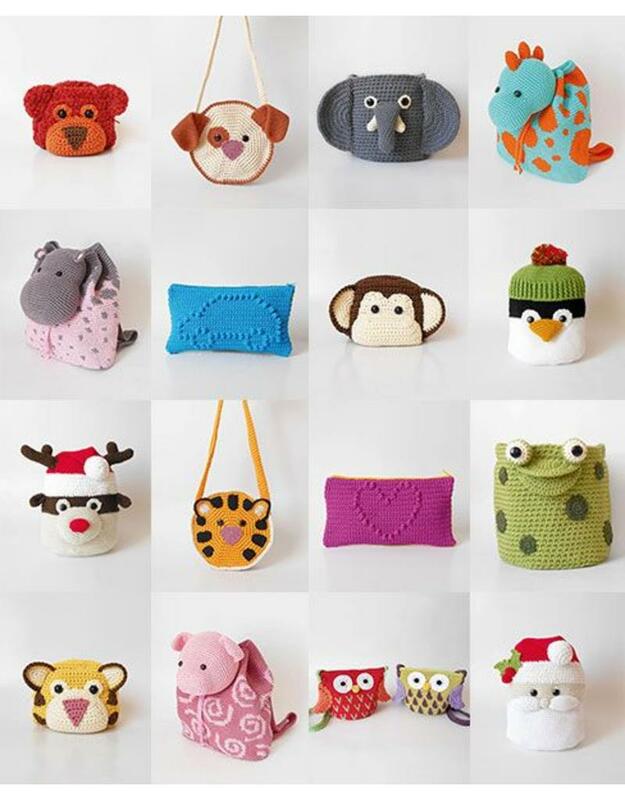 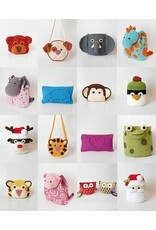 In her first book, Chabepatterns brings together various designs for bags both big and small. Each project is easy to make with detailed instructions and step-by-step pictures, and the explanations of all techniques used offer support for both beginning and experienced crocheters. 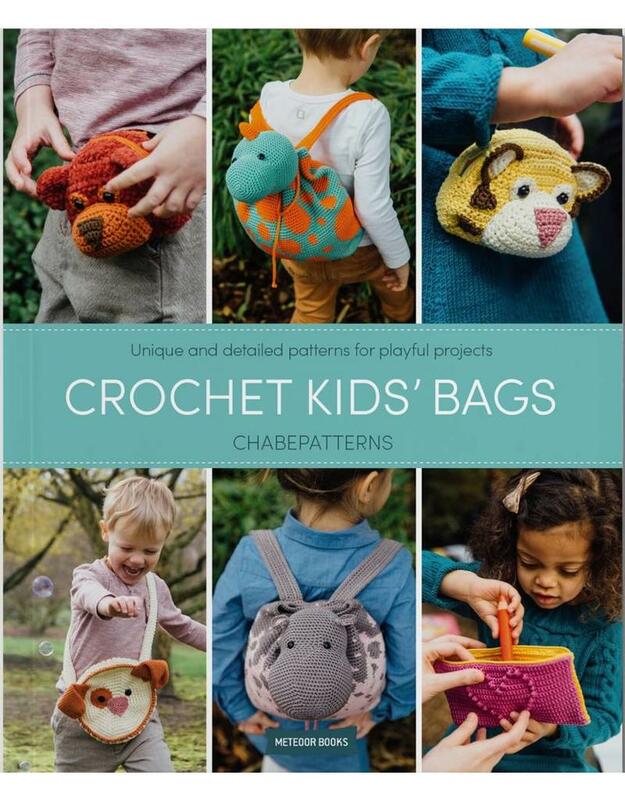 So bag up your crochet tools and get started on a new creative adventure.